*To promote his new Netflix documentary, former GOP presidential candidate Mitt Romney hit up “Late Night with Jimmy Fallon” on Friday and took part in a “slow jam the news” segment. Mitt, Jimmy and The Roots sang about NSA wiretaps, the government’s health care website and more in anticipation of President Obama’s upcoming State of the Union address. The documentary “Mitt,” which tracks his two bids for the White House, hit Netflix on Jan. 24. 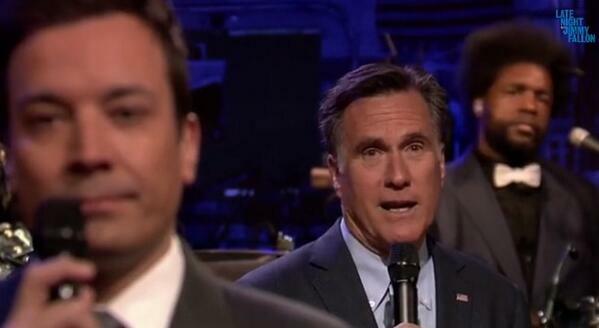 Watch Mitt’s slow jam attempt below. Hillary’s people better start getting on the grind..Mitt say’s this time IT”S NOT A GAME! Sounds like an Obama campaign.